Liisa Thomas, a partner based in the firm’s Chicago and London offices, is Practice Group Leader of the Privacy and Cybersecurity Practice. Her clients rely on her ability to create clarity in a sea of confusing legal requirements and describe her as "extremely responsive, while providing thoughtful legal analysis combined with real world practical advice." Liisa is the author of the definitive treatise on data breach, Thomas on Data Breach: A Practical Guide to Handling Worldwide Data Breach Notification, which has been described as "a no-nonsense roadmap for in-house and external practitioners alike." Liisa is known as an industry leader in the privacy and data security space and is consistently recognized by Leading Lawyers Network, Chambers and The Legal 500, and leading publications and organizations for her "broad depth of privacy knowledge." 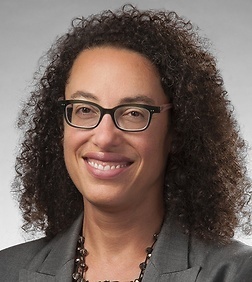 She was named to Cybersecurity Docket's "Incident Response 30," honoring 30 incident response professionals critical to managing data breaches (in both 2016 and 2018), recognized as the 2017 Data Protection Lawyer of the Year - USA by Global 100, the 2017 U.S. Data Protection Lawyer of the Year by Finance Monthly, and the "Best in Data Security Law Services" at Corporate LiveWire’s 2017 Global Awards. Liisa, who was born in Finland and has lived in France, Egypt, and Spain, frequently coordinates global efforts in the privacy area for her clients. Clients value her global insights and familiarity with business systems outside of the United States. With Liisa’s assistance, her clients—which include major consumer brands, advertising agencies, and consumer research companies—are able to navigate thorny data breach disclosure issues, use emerging interactive advertising techniques, and create compliant security programs, all while effectively managing their legal risks. Clients praise Liisa’s ability to add real value to their businesses, and describe her as "keeping [clients] one step ahead of where [they] need to be." Liisa is an active advocate of women and minorities in the legal industry and has been honored for her leadership in the legal field by the Illinois Diversity Council. Liisa is currently an adjunct professor in Northwestern University Law School, and has taught privacy courses at several other Chicago-area law schools, including her alma mater, the University of Chicago. Liisa is the Vice-Chair of the Board of Trustees of the Chicago Symphony Orchestra, is Chair of the CSO’s Negaunee Music Institute Board, and plays violin in the Chicago Bar Association Symphony Orchestra, an orchestra made up of lawyers and judges. Assisting clients with GDPR preparedness projects including compliance assessments and implementation of remediation plans. Assessing the scope of possible breaches of personally identifiable information through use of forensic experts and extensive on-site due diligence. Creating data breach assessment and notification programs (both post-breach and pro-active pre-breach plans) for Fortune 100 companies. Assisting clients to develop e-mail marketing campaigns, text message campaigns, pre-recorded call campaigns, and online information collection programs in compliance with CAN-SPAM and COPPA, among other laws. Developing internal policies for safeguarding personally identifiable information gathered online and from employees. Developing privacy compliance policies, procedures, monitoring programs, and reporting plans. Training management on the requirements of the law, including those with respect to the maintenance and retention of employee records. Developing cross-border data transfer programs for multiple Fortune 100 and Fortune 500 companies. Helping a U.S.-based multinational corporation create Binding Corporate Rules.